DiTommaso Law LLC is a boutique law firm founded on these principles - Success is not an accident. It is hard work, never quitting, preparation, sacrifice and most of all, love of what you are doing. 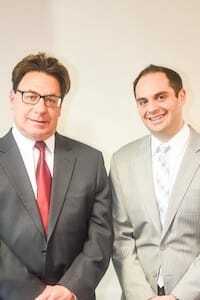 DiTommaso Law LLC concentrates on complex business litigation and class actions. The lawyers at DiTommaso Law LLC are at home in the court room and are not shy to trial practice. Vincent DiTommaso collectively has served as lead or co-lead counsel in hundreds of contested or settlement class actions in Illinois and across the country. Delivering numerous multi-million-dollar settlements or judgments. DiTommaso has helped define important consumer-protection statutes and brought justice to consumers and companies across the nation. 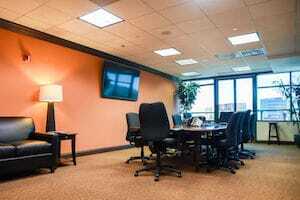 To Vincent DiTommaso, success means being the firm that clients and other attorneys call when complex legal and business disputes have come to a head, and action is needed in either the courtroom or at the negotiating table. Through the years, he has earned a successful record through zealous work and ever-growing experience. The firm's clients range from individuals seeking justice to businesses navigating the complicated corporate litigation landscape. His legal expertise has helped companies in a variety of sectors. Each case brought knowledge and valuable experience to the next case. This constant improvement has earned success after success. DiTommaso has successfully defended major national banks, finance companies, marketing firms, mobile home chains, large apartment complexes, and other corporations in large class-action lawsuits involving hundreds of millions of dollars in claimed damages. DiTommaso' s firm received the first DuPage County "Law Firm of the Year" award for "their commitment to the ideals of the legal profession." As a court-appointed mediator, Vincent DiTommaso has one of the highest settlement rates for mediated cases, saving clients significant sums in court costs. For over three decades, Vincent DiTommaso has delivered on his promise to effect significant change in the law and to deliver important victories to his clients. All the while, he has never compromised on delivering a personalized level of service that far exceeds that of many larger law firms. DiTommaso Law LLC is honored to help you or your business's legal concerns to become part of its continuing success story.